Do you have someone on your Christmas list that loves to entertain? 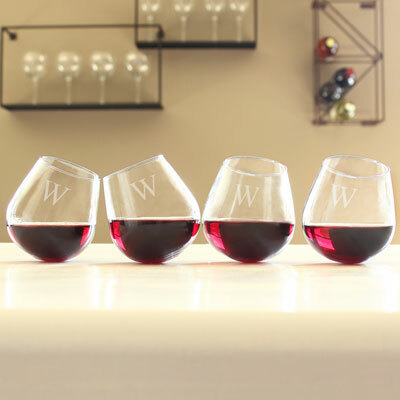 Cyber Week at More Than Paper has fantastic deals on personalized wine glasses, serving trays, drinkware, napkins, pillows and just about something for everyone who loves to make their house a home. Here are some of our favorite gifts and ways to dress up your home! 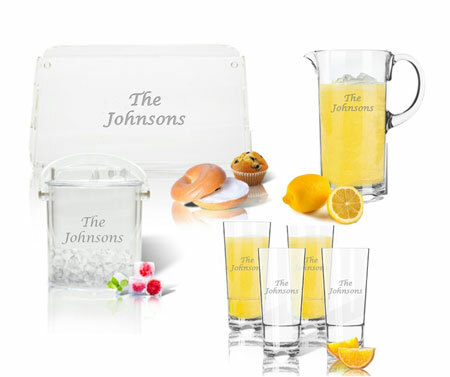 This personalized entertaining set is 25% off, it comes with a pitcher, ice bucket, glasses and tray for $141 (normally $188). We love that the glasses and pitcher are dishwasher safe and BPA free. This classic design will be used all year round, regardless of season or occasion. Be sure to check out all the virtually unbreakable entertaining items on sale this week. Very hot for the home this year are stemless wine glasses! They look modern and fresh on your table and are a bit less breakable! This "tipsy" wine glass design is a favorite and it's on sale for 25% off, just $29.24 for a set of 4. 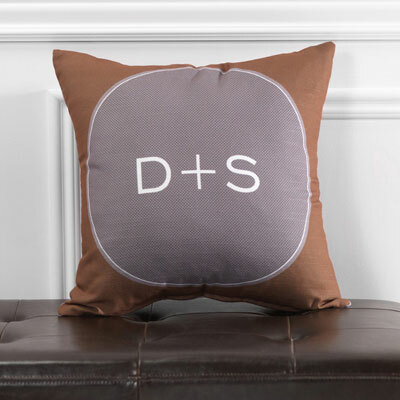 We're loving the personalized pillow trend that we've been seeing! More Than Paper has a great selection of personalized pillows on sale for this Cyber Week. 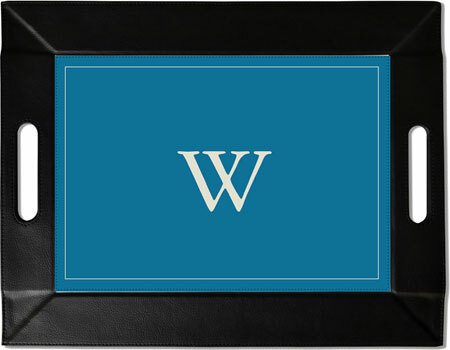 We've also added these faux leather trays by Devora Designs and this week, they're 25% off! These look great on a living room coffee table or serving your beverages. LOVE that they also can fold down to double as a place mat. See all of our designs here. If you need a gift for the wine lover, we have wine tags and coasters too! 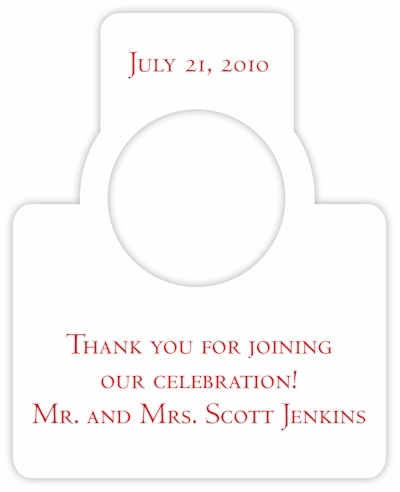 These are fun to order and personalize for your family. This way, you can bring to a party as a hostess gift and the host will know who the bottle wine is from at the end of the night. We haven't even covered the personalized napkins, cups, tags, and more items to dress up your home that are also on sale this Cyber Week! Head on over and check it out! 9 gifts from Santa's Workshop!